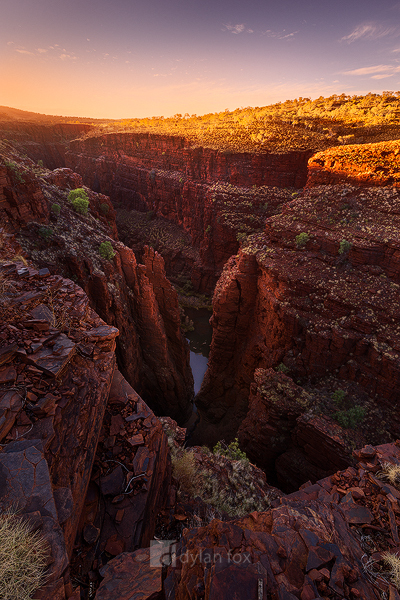 Karijini National Park is one of my favourite places I have ever visited! It has incredible vantage points like this that are simply breathtaking. Here I left my tent in the dark to photograph the first sunlight as it kissed the top of the land. The 100 meter deep gorges below, still in the cold shadows. Such a beautiful way to start the day.